Offering you a complete choice of products which include mango pulp pumps, beverage pumps, blending pump, mixing pump, mixing pump for food industry and pulp pump. We are the Leading manufactures of Decanter feed pump. 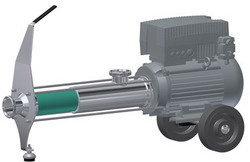 The Decanter feed pump is employed in all branches of industry for continuous, pressure-stable, gentle and low-pulsation conveyance and dosing in proportion to speed for nearly all substances. 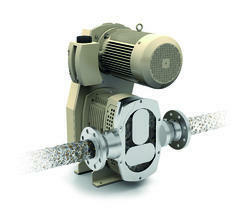 We are the Leading manufactures of Industrial Fermentation Feed Pumps. The Filter Press Feed Pump can be employed for almost any highly viscous, compacted and crumbly substance that does not have a tendency to bridge. One of its greatest advantages is its capability of dosing these media in proportion to rotation speed. 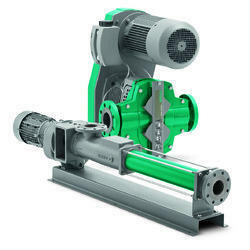 The Filter Press Feed Pump can be employed in nearly all branches of industry for continuous, pressure-stable, gentle and low-pulsation conveyance. 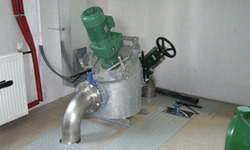 NETZSCH M-Ovas® grinding systems can be used wherever it is essential that solid matter in fluids be broken down reliably to ensure the prevention of pipe clogging and damage to downstream equipment.The special design of the M-Ovas® housing carries the solids in the wastewater flow to the cutting plate, where they are held and chopped by rotating blades. This low-maintenance assembly is designed for sludges with a maximum flow of 300 m3/h and a dry matter content of up to 7%. 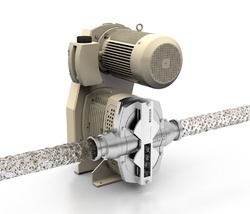 The NEMO® Hygenic Food Pump is employed for hygienic applications in the foodstuff, pharmaceutical, cosmetic and chemical/biochemical industries in order to provide continuous, pressure-stable, gentle and low-pulsation conveyance with optimal cleaning and dosing in proportion to speed. Many different regulatory bodies have set specifications for a hygienically correct configuration of components and machines, as well as for component cleanability. NEMO PUMPS® are designed, produced and inspected in accordance with the regulations of the EHEDG (European Hygienic Equipment Design Group) and the QHD (Qualified Hygienic Design). The materials used are approved by the FDA (Food and Drug Administration) and the BfR (German Federal Institute for Risk Assessment). In addition, NEMO® Hygienic and Aseptic Eccentric Screw Pumps meet the specifications of the United States’ 3-A Sanitary Standards and are GOST-R certified (a Russian certificate of conformity). 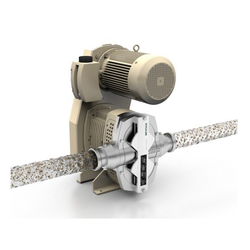 We are successfully engaged in offering a commendable array of Hydro Pasting Pumps. The offered pump is precisely manufactured using superior quality raw materials and advanced machinery in adherence to the set industrial standards. The product offered by us is highly appreciated by our clients for its smooth finish and high durability. Clients can avail the offered pump from us in various customized options at competitive prices. 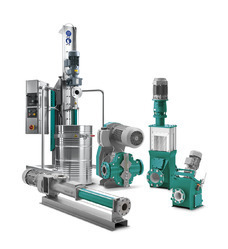 Mini Hygienic Pumps is employed for hygienic applications in the foodstuff, pharmaceutical, cosmetic and chemical/biochemical industries in order to provide continuous, pressure-stable, gentle and low-pulsation conveyance of your liquid. These Sugar Pump are mainly used in sugar factories and can handle the workload of upto 100 tons per hour. The discharge outlet can be as big as 16 inches. These pumps are made of top material and the design is scientific and very smooth. They appear and run very smooth and remain in high demand. 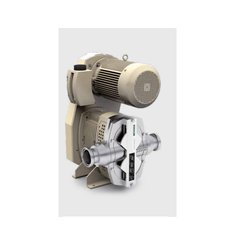 EMG pumps designed for 'A', 'B', 'C' magma & 'C' massecuite in Sugar industries. Runs for longer hours without any loss in quality.